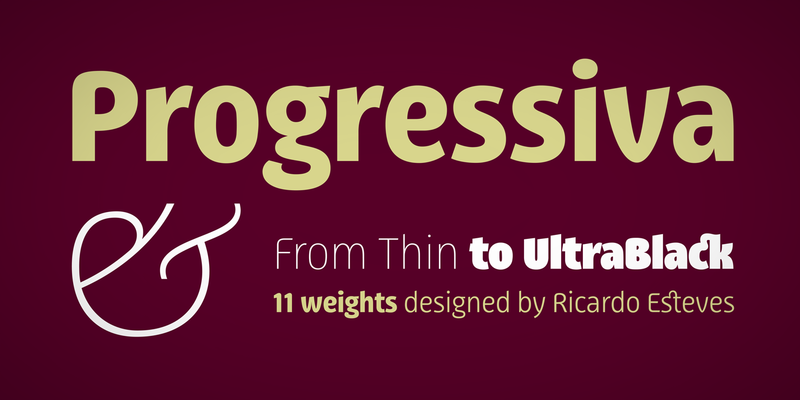 Progressiva is a sans serif type family for text and display usage. 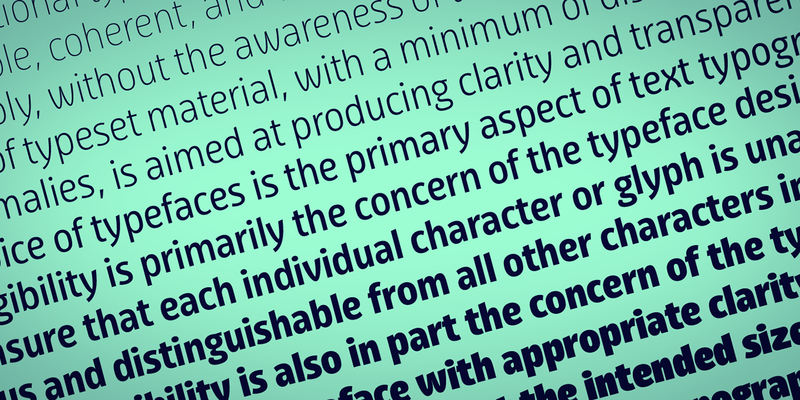 With some unique playful forms and a little bit condensed structure, the family is ideal for texts that require some personality and titles with great visual presence. 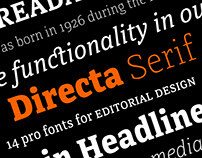 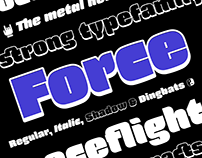 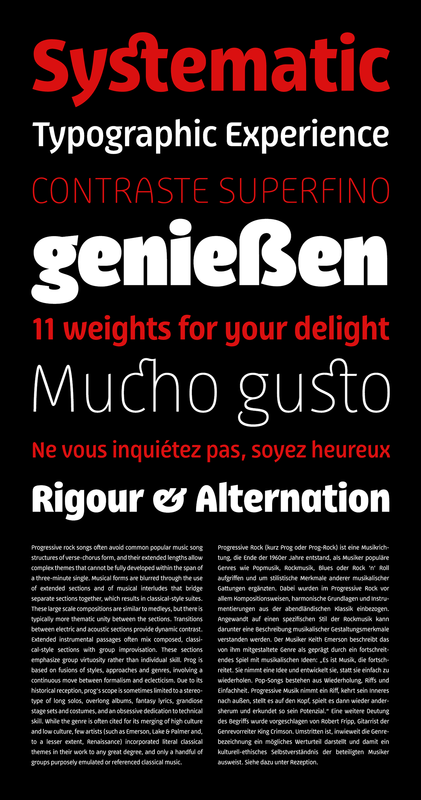 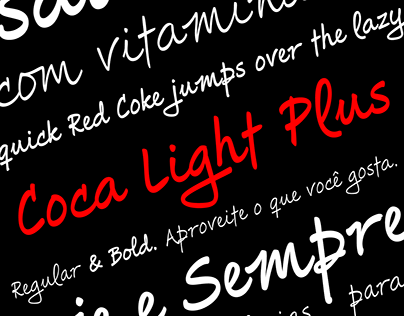 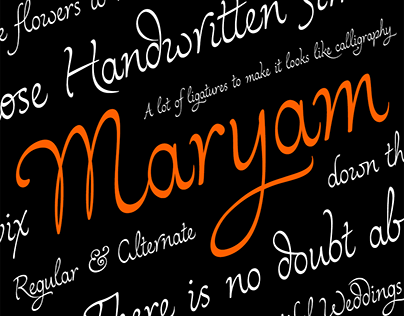 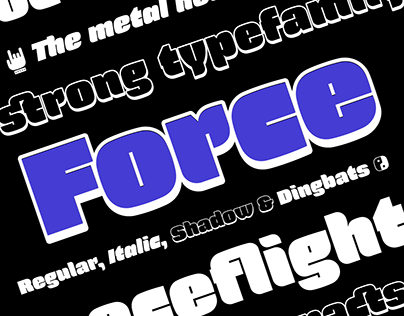 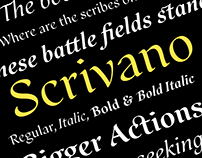 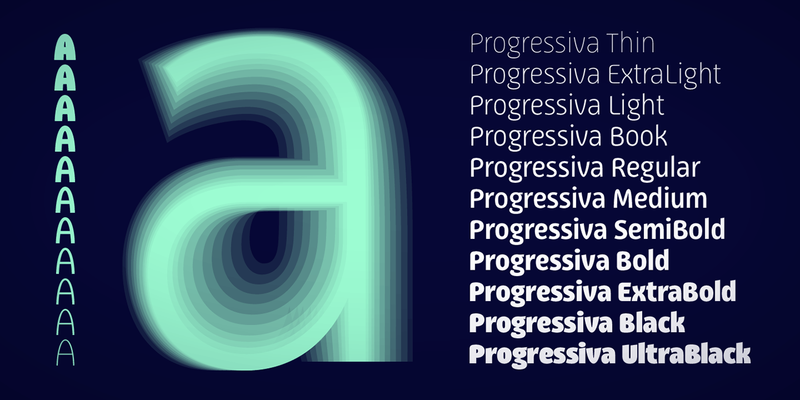 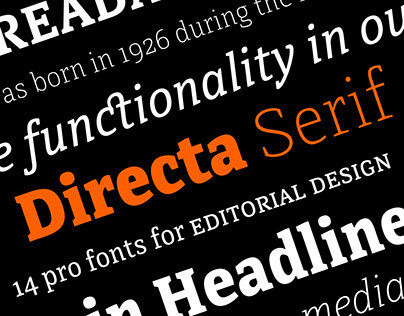 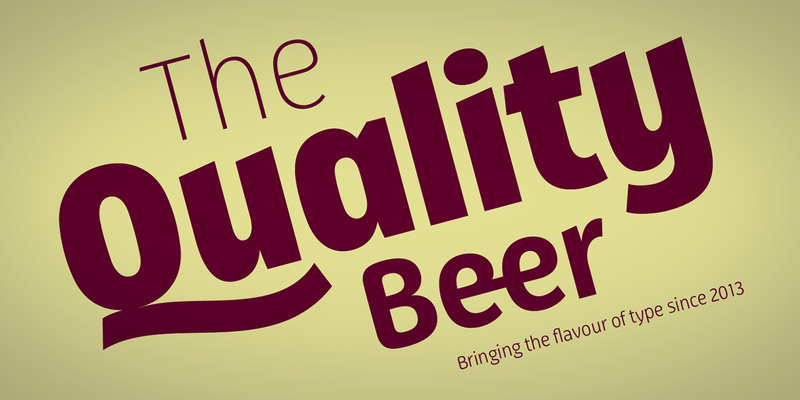 Progressiva family is composed by 11 roman styles, from Thin to UltraBlack, giving a lot of space for visual variance. 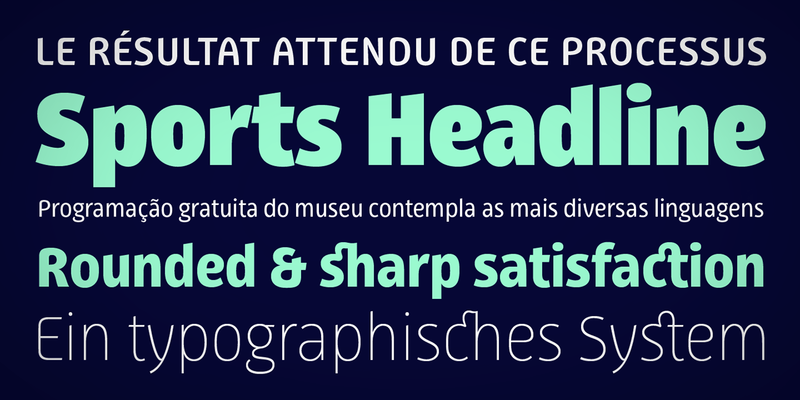 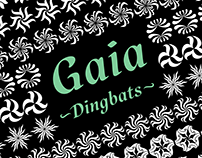 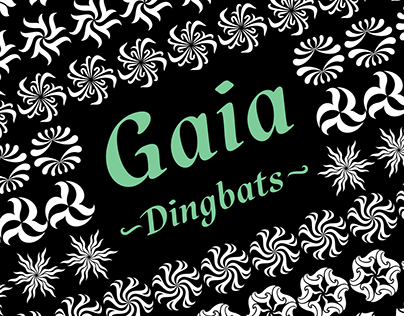 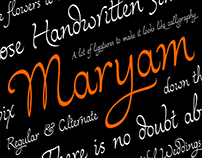 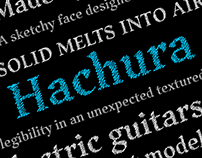 Each font includes some standard and discretionary ligatures as well as some alternative letterforms included in stylistic alternates and stylistic sets OpenType features. 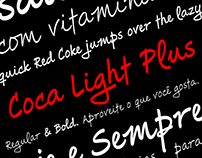 It’s suitable for magazines, posters, packaging, advertising, signage systems, corporate material and so on.